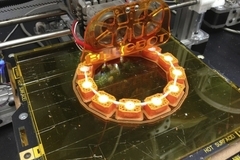 I made this to prove our Bukobot's ability to print ABS &amp; Nylon together. Got a dual extruder that can do nylon? try this one.